A traditionally made hand turned slipper made in our factory in Norwich. Made from beautifully soft deerskin. A traditionally made hand turned slipper made in our factory in Norwich. Made from beautifully soft black deerskin. 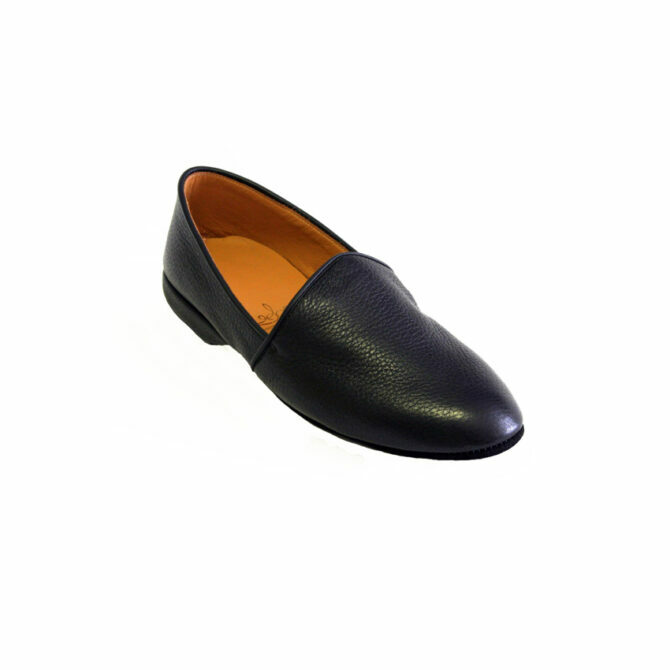 This black slipper incorporates a cow suede leather sole and cow leather lining. Bowhill & Elliott have been making these slippers since 1960, when we purchased the slipper factory. 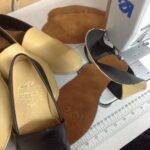 The technique of hand turning shoes can be traced back to 14th & 15th Century in Norwich. This technique of hand turning shoes process that has improved the style and finesse of the shoe. Stitching two pieces of leather creates a raw seam. 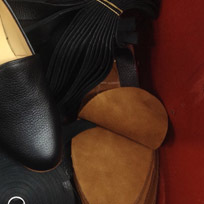 The look of the shoe is dramatically improved by turning the shoe inside out, so the seam is on the inside.